The Marlborough netball team have been on court once again to take part in the finals of the MSSP High 5 competition. The top four teams from the Macclesfield, Wilmslow and Knutsford area all played against each other in a Round Robin battle for victory. After some tough matches, Team Marlborough had to wait with bated breath to find out if they had scored enough goals in their last match to take them through to the county finals. With a 9-0 win, the gold medal was theirs. Well done everyone! You kept your cool and played the game perfectly. In a sporting first for our school, Marlborough travelled to Phoenix Sports Club to take part in a Pop Lacrosse tournament. After a great afternoon of competition - against some tough opposition - our first team made it through to the finals. After a great battle with Gorsey Bank, Marlborough took gold and this result was made even better when our second team won the bronze medal. Team Marlborough have taken to the netball court once again and - in a step away from the 7-a-side game that they usually play - competed in the MSSP High 5 Tournament at Macclesfield Academy. They played 4 games all together and won each one to go through to the area finals. Well done everyone! It just shows what brilliant sports people you are, to be able to adapt to new rules and tactics so quickly. Team Marlborough Tag Rugby squad took on a field of 18 teams from the Macclesfield & Wilmslow area, winning a thrilling final in extra time after dominating the prior rounds and semi-final. This was Marlborough's first rugby victory. Well done team! 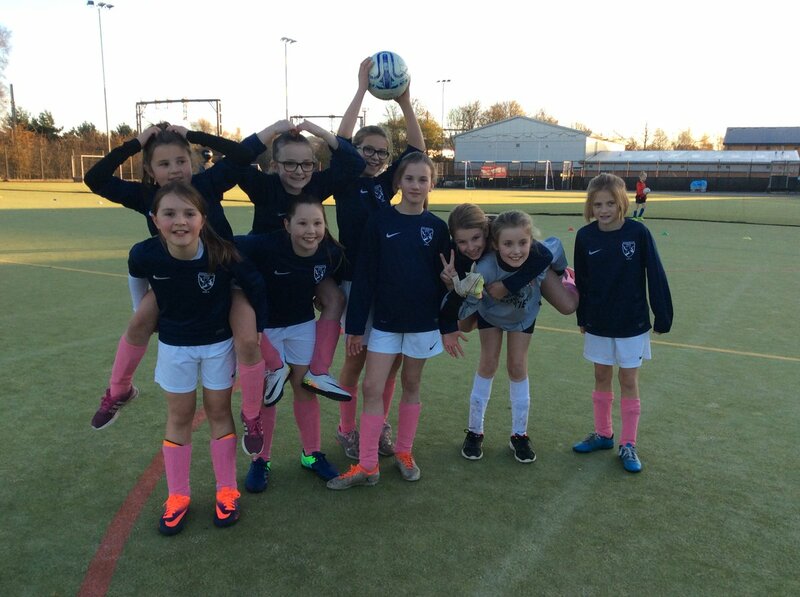 Congratulations to Team Marlborough's Girls Football team for their victory in the Wilmslow and Macclesfield schools' football finals. The team retained the title won by last years squad without conceding a goal and will now represent Macclesfield in the Cheshire Finals. Result: MSSP Gold Medals winners. Congratulations to Team Marlborough's mixed rounders team for their victory in the Wilmslow and Macclesfield schools' rounders finals. They retained the title won by last years squad in superb fashion and now go on to represent the district in the East Cheshire finals. 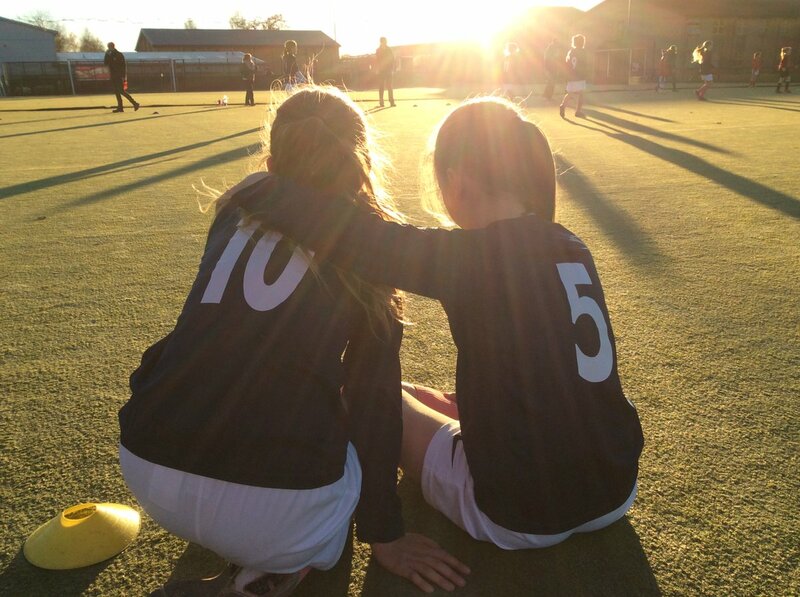 This year, Marlborough took two fantastic squads, Marlborough ‘Blue’ and Marlborough ‘White’ to two competitions at Tytherington School and Wilmslow High over the space of a week. Feb 3rd – Marlborough Blue and Marlborough White were kept apart in the group stages. After incredible play from both squads, Marlborough Blue reached the final while Marlborough White reached the 3rd place play-off. Both teams won their final games, The Blues with a fantastic 6-4 overtime win to take home Gold while Team White took home the Bronze. Feb 10th – Once again, our two squads were kept apart for a thrilling 1st round of group games. They finally got the chance to face each other for the only time this season in a memorable semi-final. After a back and forth game, Marlborough White won an amazing come-from-behind victory to reach the final. After an incredible effort, The Whites narrowly lost a close final to Bollinbrook to take home silver; The Blues winning the 3rd place match and claiming bronze. Congratulations to all involved in this season’s basketball competitions – to have two squads representing the school so incredibly demonstrates amazing determination and skill. A fantastic team of 26 athletes competed to defend Marlborough's crown at the Tytherington SportsHall Athletics competition on Monday 26th Jan. Following some fantastic performances, Team Marlborough emerged victorious by a very wide margin to win the competition for the third straight year. Well done team! Following the cluster competition, Marlborough competed in the Macclesfield Final vs 6 other teams. After a set of astounding performances, our fantastic team brought home the gold, improving on the silver earned the previous year in the same competition. Well done Team Marlborough! 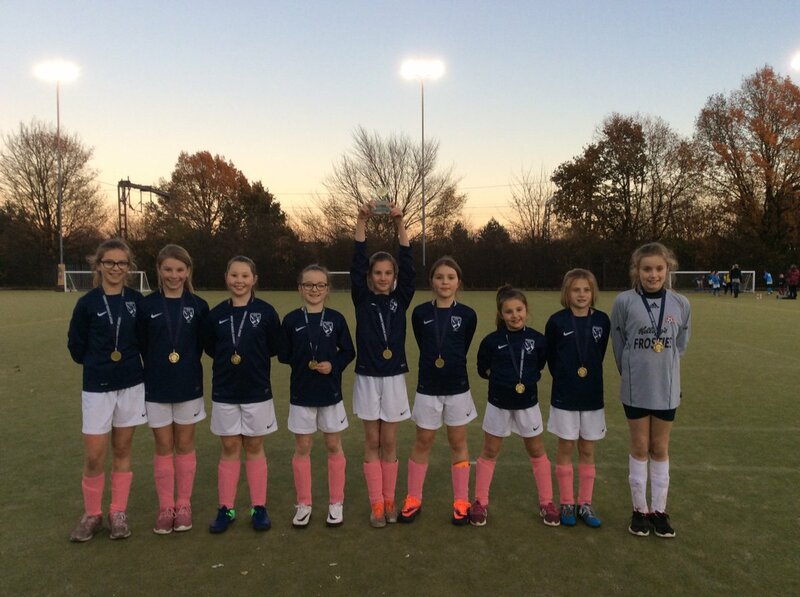 A squad of 16 girls trained hard throughout November to prepare for two tournaments to be played in early December. On 2nd December, an A and B team played at Tytherington School - 7 teams total. In a round robin format, the A Team won 5 and drew 1 game to be crowned champions for the second year running. On 4th December, the girls spend the afternoon at Wilmslow High School - 12 teams total from Macclesfield and Wilmslow. After winning their group with 100% win record, the A Team won the trophy on penalties after a really close final. Goalkeeper Caitlin made three saves in the shootout to secure the victory for the team and qualify them for the Cheshire Finals for the first time in the school's history. On 29th January, our Macclesfield champions played the winners from Cheshire's other districts. After a nerve-wracking group stage and two fantastic 1-0 wins in the quater and semi finals, Team Marlborough won the final on penalties. What a remarkable season for our football team. Congratulations to the Netball team on a fantastic start to this year's season - marked in spectuaclar style with three convincing wins and overall first place at the Tytherington Cluster Netball Tournament. Everyone played brilliantly; with slick passing, great shooting and determined defending. Let's hope this is the start of great things to come for the team this year. Well done! Macclesfield and District Rounders: League Winners. Cheshire East Champions. This year’s rounders season has seen the team enter into more competitions than ever before and to say that it has been action packed would be an understatement. The team has gone from strength to strength and their dedication to the sport has been nothing short of exceptional - the team even played in a competition across the county just an hour before the start of their Year 6 prom. After a season of great sportsmanship, phenomenal skill, determination and team spirit, we are delighted to announce that Marlborough won the Macclesfield and District Rounders League (beating the toughest competition around on their way to victory) and - just a day after these finals – were crowned East Cheshire champions. Congratulations to all of the children involved and a huge thank you to all the parents for your fantastic support throughout this season; we couldn’t have done it without you. Team Marlborough were out in force again for the annual athletics championships. With last minute team changes due to injury, some children having already competed in a full day of Kwik Cricket (at county level) and under very hot conditions, the children had to work harder than ever against a tough field of athletes. As always they did us proud and performed better than we could ever have expected. Congratulations to Serena and Rebecca for their medal winning performances. A team of 10 girls took part in the Macclesfield Schools' Sports Partnership at Macclesfield Cricket Club on May 19th. Versus 9 schools from Macclesfield and Wilmslow, the girls won 5 and lost 1 match to finish an agonising second place, missing out on first by one run scored. However, they qualified for the Cheshire Finals in Warrington. Despite a much tougher competition on July 1st, the girls showed just how much they had improved by beating the overall winners in the final match. An excellent team who developed some excellent cricket skills over such a short period - well done team Marlborough. In a busy few weeks of sport for Team Marlborough, we headed off to Fallibroome Academy for the annual MSSP Orienteering competition. This year we took 8 teams - made up of Years 3/4 and 6. For many, it was their first experience of orienteering at a competitive level and on such a large scale. The teams all came back covered in mud and with huge smiles. After their scores were logged, the results showed just how well we had done. On 11th June we took two teams (a Year 3/4 and a Year 5/6) to Wilmslow High School where they competed against schools from the Wilmslow and Macclesfield area in the annual MSSP Quad Kids competition. Each member of the squad took part in four events: the howler throw, standing long jump 50/75m sprint and the 400/600m distance events. After a gloriously sunny afternoon, a great round of events and some extremely stiff competition, we are extremely proud to announce that both teams were victorious. The Year 5/6 team will now go on to represent the Macclesfield and Wilmslow area in the county finals next month. Congratulations everyone! All your dedication, hard training and determination paid off. Congratulations to Team Marlborough for winning the MSSP Rounders final. They will now go on to the county finals later this month. Team Marlborough finished an admirable 3rd in this seasons' end of year football competition. After a tough loss in the semi finals to eventual winners Kings', the team won the 3rd place match 2-0 vs St Johns. The team, missing both regular goalkeepers and central defenders, played arguably their best match of the season and scored a convincing victory in their last game of the season. Marlborough football team hosted teams from Dean Valley, Ivy Bank and Park Royal for this years annual Reliance 7's Qualification. Following a close 0-0 draw with Dean Valley, the team won 3-0 vs Ivy Bank and 1-0 vs Park Royal to secure their place in the 'final four' at Hollinhey School on Sunday May 10th. After a long and cold Netball season, on Saturday 21st March Team Marlborough took competed in the Macclesfield and District Primary Schools' Netball Tournament. Without many of our usual players, the team faced a real fight to get through the group stages where they had to face our toughest rivals. However, after some extremely skillful play and incredible fight the team won all of their matches to go through to the semi-finals. During this match, unfortunately luck was not on our side and we were beaten by just one goal to come 3rd in the final standings. A huge well done to everyone who played. You showed such passion and team spirit and we are so so proud of you all! Team Marlborough took two sqauds to the MSSP Basketball Finals at Wilmslow High School on Thursday 5th March. Both teams performed fantastically, particularly the A team who qualified for the semi-finals by finishing top of their group. After winning the semi-final, Marlborough fell 6-2 down in the final with three minutes left. However, a combination of incredible play and bravery forced golden goal extra time. Marlborough kept the pressure on and sunk the winning basket for an incredible victory. The team qualified for the Chesire Finals in the most dramatic - and well deserved - fashion! Congratulations to the Swimming Gala team who finished in a magnificent 5th place! The children competed in a number of closely fought races and we are incredibly proud of how much they have improved to earn our highest placing in many years. Following victory in the cluster competition, Team Marlborough took part in the MSSP SportsHall Athletics Finals versus other cluster winners from Macclesfield & Wilmslow. The team improved upon their already tremendous effort just one week earlier, and clinched 2nd place against a much stronger field. Well done team. A huge congratulations to the 20 children who represented Marlborough at the Tytherington cluster SportsHall Athletics competition. The children performed marvellously and retained the title which Marlborough had won a year earlier. Well done Team Marlborough. On this cold January morning, two teams for Marlborough competed in the Macclesfield School Sports' Partnership High 5 Tournament at Macclesfield Academy. After five rounds of matches each, we are delighted to announce that Marlborough 2 were the gold medal winners in their draw (with 4 wins and one draw) and now go on to represent the school at the area finals. With 4 fantastic wins and one loss, Marlborough 1 finished in silver medal position. Both teams put in a fantastic amount of effort despite the bitter weather and showed incredible team spirit throughout the competition. Well done everyone! With the year 6's in Conway, it was left to a very promising year 5 team to battle hard at this year's Macclesfield start of year football tournament. Winning two groups games, the boys played marvellously before being knocked out in the quarter finals. A thanks to the parents who helped support and manage this event. Congratulations to the Mixed Rounders Team who have had a fantastic season and eventually - after some amazing matches and fielding that made the team quite formidable - they won the silver medal after a very tight match against Gawsworth. Throughout the season they have played with great spirit, determination and sportsmanship and should be extremely proud of their achievements. On Wednesday 10th July, Marlborough travelled to Warrington's Orford Jubilee Neighbourhood Hub to compete in the county finals for Quad Kids Athletics and Orienteering. Throughout the day, all of the children competed with pride, passion and incredible team spirit. In the Orienteering event, the girls and boys teams came in 4th and 5th respectively. For their fantastic efforts, they earned the Spirit of the Games Award for this event. In Quad Kids, a team of made up of boys and girls from Years 4-6 competed in four activities: 600m, 75m spirit, howler throwing and standing long jump. Their athleticism was outstanding and after everyone had competed in all of the events, the team came in silver medal position. A phenominal achievement! On Monday 7th July, Marlborough held its very first School Games Day. Following pledges read by our Youth Speaks team, the afternoon started in style with a Brazilian World Cup inspired performance from Year 5, complete with salsa dancing and carnival style samba music. The children competed in their house teams as part of our new, inter-house sports competition. During the afternoon of athletics, everyone took part in a range of track and field events: standing long jump, the howler throw, a relay (sprint or obstacle) and Speed Bounce. Our Sports Organising Crew were also able to support the officiating of each activity. Everyone had a fantastic afternoon in the sunshine and the level of competition was exceptional. Congratulations to Bollin who were the victors and earn 4 points towards their total in the Inter-house Championships. The Girls' Rounders team have recently competed in the annual Macclesfield and District Rounders Tournament. After a fantastic performance against four other teams, which saw them win all of their matches before the rain stopped play, they emerged as gold medal winners for the second year running. Well done girls!